A match made in heaven paradise. A deliciously iconic duo that happens to be every Caribbean bartender’s go to – and for good reason. 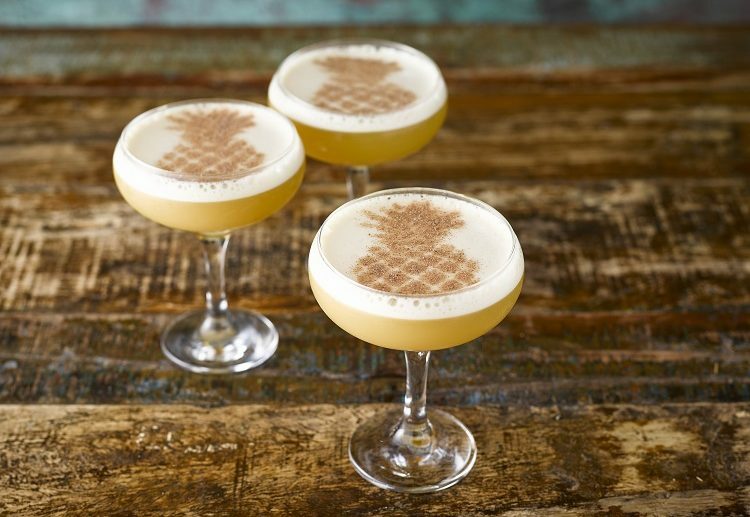 The rum-pineapple combo is perfect for cocktails – most of which feature golden, spiced, sometimes coconut rums with a pineapple garnish here, lashings of pineapple juice there. But we’re about to take you one step further… With a name you’re unlikely to ever forget. Stiggins’ Fancy Plantation Pineapple rum. The name of Plantation’s newest member of the family might be a bit of tongue twister, but it’s a total dream to taste. And that more than makes up for it. Crafted by Alexandre Gabriel – a man with an all-consuming passion for good spirits, and exceptional rums – his pineapple rum was never actually intended for sale. Instead, it was created on a whim to share with esteemed colleagues and lucky bartenders at a liquor convention in New Orleans. However, almost overnight, Gabriel’s unique pineapple-flavoured rum became a roaring success in the rambunctious world of sugarcane. And we’ve all been left thanking our lucky stars. Because take it from us, pineapple rum is your new favourite spirit. A new rum, an age-old story. You might think pineapple rum sounds like something that was invented last week – a cunning attempt to create a new trend between last year’s mango rum and next year’s orange rum – but it actually dates back to the late 1700s. 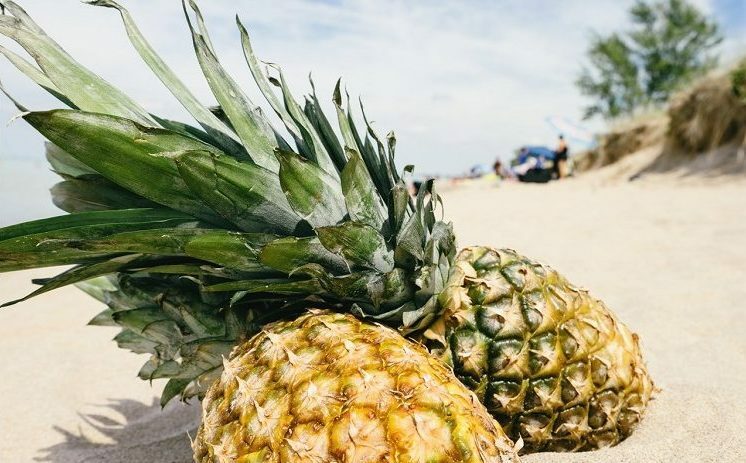 Originating in the Caribbean islands, 18th-century rum distillers would soak fresh pineapple in the barrel, to give a sweeter, richer taste that the earliest, crudest rum recipes so desperately lacked. And while pineapple rum struggled to take off initially in the Caribbean, it seems the exported rum became a favourite sipping spirit in Victorian England, with references to the rum littered throughout the works of one of the most famous writers in history. Raising a glass to Dickens. It’s safe to say, many of Charles Dickens’ characters liked to drink just as much as their creator did. They fill pages by availing themselves of a glass of this brew or a bowl of that punch. 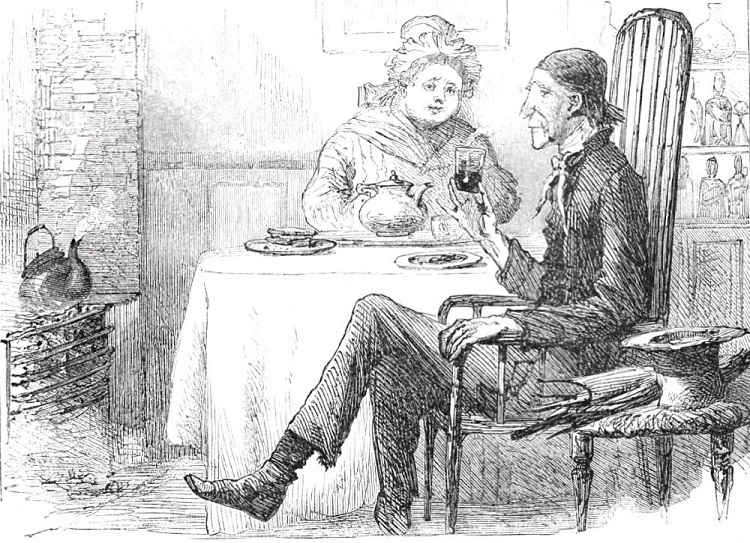 For this reason, Dickens’ novels have proved useful as windows into many a 19th-century drinking habits. And it was in a Dickens novel where Plantation found the perfect name for their new pineapple rum. You guessed it. Pineapple rum. Reverend Stiggins with his beloved pineapple rum, from an original illustration in The Pickwick Papers. High-quality products start with passion. It might be a romantic notion, but it lies at the heart of everything Plantation do. When Alexandre Gabriel first considered pineapple rum as a new venture, with just an 1824-dated recipe to his name, he was initially reluctant to pursue his fruity pleasure. That is, until he reached the research and development stage of the drinks-making process. From Jamaica to Barbados to Panama to Nicaragua, he travelled the world to take in the stories, ignite his passion for good flavour, and most importantly, find the perfect pineapple. And after months of searching and experimenting, Gabriel found it. The Queen Victoria, found at that time only in Mauritius, is a pineapple with aromatic skin, sweet flesh and a botanical depth that was so sorely missing from the other pineapples he tasted. And after just one bite of the tangy flesh, Gabriel knew – he’d, quite literally, struck gold. Or rather, struck yellow, as it were. Today, to preserve that incredibly unique and distinctive pineapple flavour, Plantation rum peels every last pineapple by hand, with the rind infused in Plantation 3 Stars rum for a week before it is distilled in pot stills. The pineapple fruit is then left for twelve weeks in cognac-soaked barrels filled with Plantation Original Dark rum, before the two nuanced spirits are married together to rest in casks for three months more. You can taste this kind of care. Now, you probably won’t be surprised to learn that this rum opens with unmistakable notes of pineapple. But, if we had to explain the rum’s appeal in just one word, it’s easy; it’s charming. This subtle, persuasive rum teases with fruity undertones. It’s refined; serving up faint-yet-pleasing pineapple notes – it’s not a pineapple-flavoured rum per sé. And because of that important distinction, this rum manages to retain its heat; the smoky notes and powerful kick of a premium dark rum. Which, thankfully, prevents it from ever straying into that dangerous ‘too-sweet’ territory. And the smell. It’s heavenly. Sit back, and breathe in your Plantation Pineapple rum. See if you can smell those finespun aromas of tropical fruit. Citrus peel. A touch of clove. And then taste. Enjoy the exquisite flavour – or as we like to think of it, that bountiful bouquet. The rum’s distinctive palate is full-bodied, with a satisfying, pleasant sensation of ripened banana, pineapple, and spices, all layered in an extraordinarily smoky finish. And when it comes to the drinking? If you like your rum neat, get ready to marvel at how smooth, how caramelly, how wonderfully moreish this pineapple rum can be. Or if you like yours with a little ice, to temper the youth of the rum, you’re going to have the best dessert in a glass you’ve ever had. But honestly, when you put this rum in a daiquiri? Like a good book, you’ll never put it down. The sweet, tart flavour of the pineapple rum comes through, with the warm finish of the spirit offset by lime and sugar, making for a perfectly balanced cocktail that’s fresh enough to drink all night long. And with our Fancy Pineapple Daiquiri, we guarantee you’ll want to. With Stiggins’ Fancy Plantation Pineapple rum as the star of the show, we’ve added lime and sugar, thrown in some extra pineapple to compliment, then accentuated it all with a fine sweet cinnamon dusting, shaken on top in the shape of our favourite tropical fruit. But don’t take our word for it, book a table and try it for yourself. Because remember when we said this was your new favourite spirit?